From the view of the Cathedral of St. Panfilo , let yourself be tempted by the elegant shapes and the warm hospitality of the Santacroce Ovidius Hotel. Relax yourself in our NARCISSUS SPA, for a moment of pure pleasure in the town of Ovidio the poet of love. Treat yourself with a candlelight dinner in our panoramic restaurant according to the best Italian tradition. The Ovidius is an elegant 4 stars Hotel, a few steps away from Corso Ovidio, ideal for a romantic escape and a quiet and discreet location for business meetings. Hotel Ovidius knows how to make your stay unforgettable: dedicated packages, quiet rooms with mountain views, an intimate Spa, a panoramic restaurant with the best of local cuisine and a friendly welcome that will suggest what to see in the greenest region of Italy. 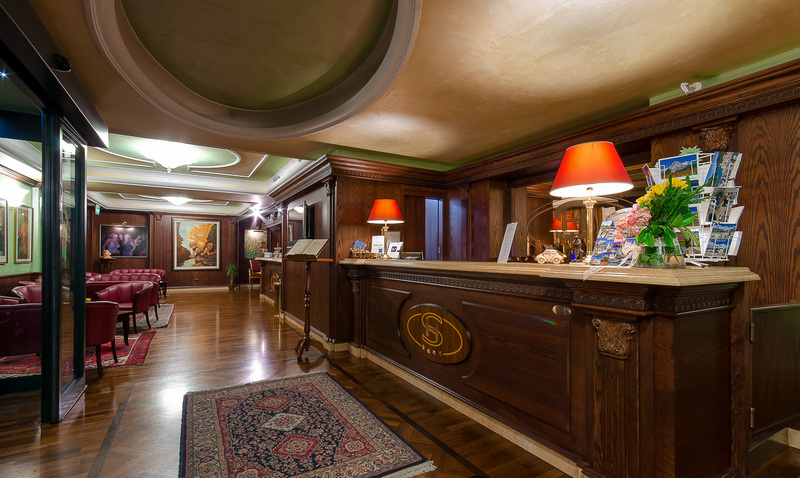 The Santacroce Ovidius Hotel helps companies and professionals to save on their business trips, obtaining the maximum of services: discounted and fixed rates all year round, private parking, ultra-fast Wi-Fi free, quiet rooms and a friendly welcome.